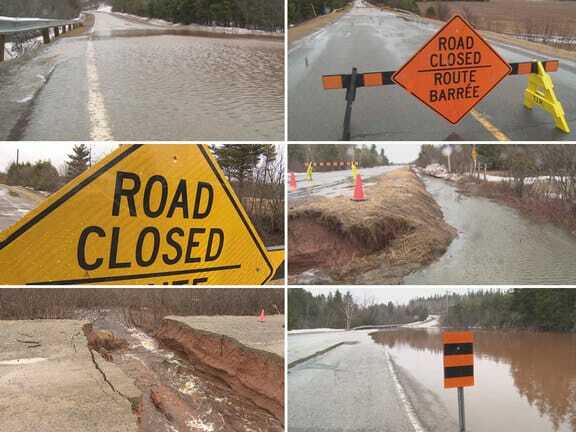 Heavy rain and rapid snow melt has caused unrelenting flooding that closed 15 roads across PEI. At mid-morning the province's 511 system was reporting problems in many parts of the province. Water levels overwhelmed the streams, culverts and ditches and motorists are being asked to use extreme caution. Darren Chaisson with the Department of Transportation said Road crews were sent out to barricade and keep the bridges and roads safe for the general public. He spoke with Karen Mair by phone. Roadway repairs are a way of life in this province and any time work is started or finished early it's considered quite a bonus. Well, work is due to start to replace the Emerald Bridge earlier than scheduled. It wasn't supposed to start until the spring. The bridge closed several months ago, after the province determined it couldn't sustain the weight of snowplows. But that meant a 13 killometre detour for residents... and they thought that was too much. 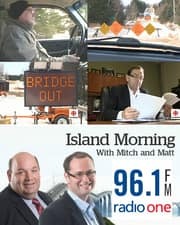 CBC's Steve Bruce spoke with Minister of Transportation Robert Vessey about the project today. We'll hear from him in just a moment. But first, Steve went out to Emerald today to speak with resident Ken MacCarville about his concerns.